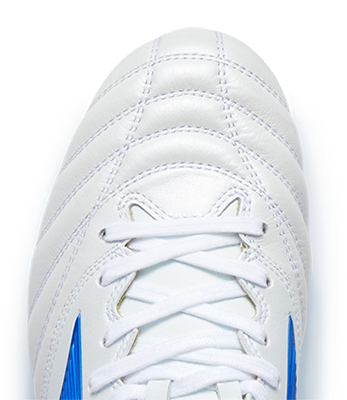 The level of stability the shoe offers to help offset over pronation. Neutral, moderate mileage runners and new runners. Optimised to get you running. Responsive, with plenty of superb cushioning from Mizunoâ€™s Parallel Wave technology and an enhanced fit thanks to strategically placed support. Dynamic cushioned shoe which provides a combination of Wave technology and a superbly cushioned midsole. Upgraded mesh and support materials used to enhance the fit. Allows each running shoe from Mizuno to maintain a high standard of breathability and comfort of the upper. Mizuno has developed a design blueprint to engineer shoes that work with your foot throughout the gait cycle. Inspired by nature, Wave is a unique midsole technology that provides both cushioning and stability. An engineered approach to minimise the rapid acceleration and decelaration of the foot during transition, creating the smoothest ride possible. An extremely durable Mizuno carbon rubber that allows for longer wear in high impact areas and gives more traction at the heel strike.